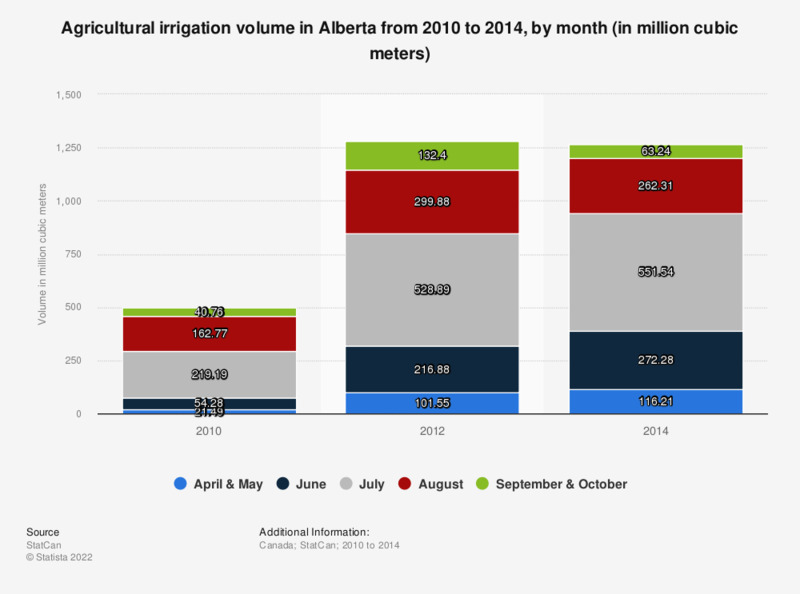 This statistic shows the agricultural irrigation volume in Alberta from 2010 to 2014, by month. In July 2010, the agricultural irrigation volume in Alberta amounted to 219.19 million cubic meters, growing to 528.89 million in July 2012. The volume of water is reported by the source in cubic meters. One cubic meter equals one thousand liters.